Anyone near SE1 has a Dremel to borrow? Need it for a couple of hours and will ride over to pick it up! Super duper long shot, anyone has a spoke threading tool? Live NW10, work SW7 and am happy to meet for collection. anyone got an SDS/hammer drill and bits suitable for concrete near camden/NW1? I've got one of these but in SW2, only used it once to put up some stuff at home and got away with using the 1 drill bit that came with it. Anyone got a saw guide tool for cutting a steerer down? Yes, and a vice, and a saw! I have all the above. 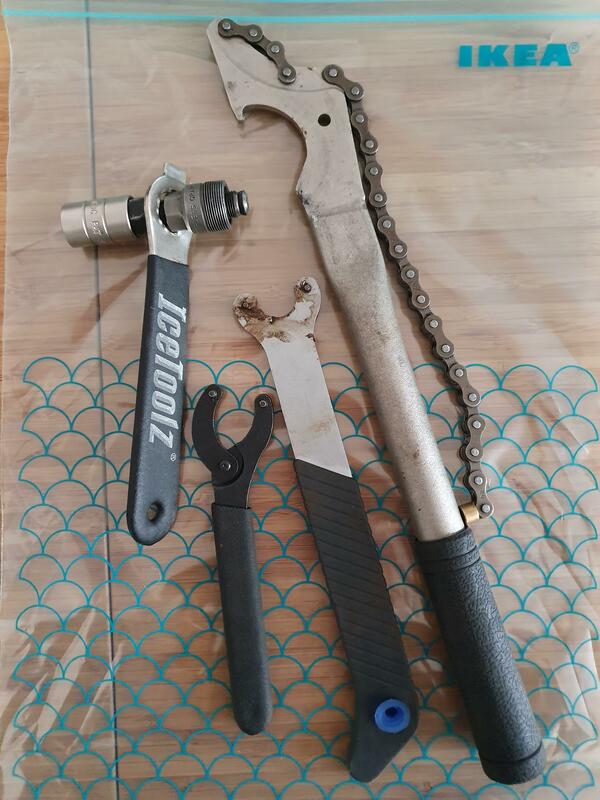 Square taper bb tool then a lockring tool and an adjustable pin spanner. You will also need to pray for the cup not to be seized in the frame. I am also in New Cross Gate, near Hong Kong City. Doing bike stuff on Saturday if you want to swing by and do it at mine or I can package the tools for you to pick up tomorrow. I got one if you still after it. Anyone got a a Shimano-type tool for fitting Octalink brackets? NW London area. Scrub that. Just bought one for a tenner at Evans...open on Easter Sunday, poor chaps! Need to swap some Chris kings over - anyone have headset cup removal tool?